Here's a guest post from Brian Covert, Community Builder with Up My Game, a company that connects athletes and coaches, using video analysis to enhance individual skill development. Brian takes a look at youth sports participation, some discouraging trends, and offers a suggestion on how to help keep kids playing. There is a problem with participation in youth sports. Unknown to many though is just how big the problem is. Right across the board, no matter the sport, the number of children starting and staying active in sports is decreasing. The good news is that technology offers solutions that could help reverse the trend. But first it’s important to understand just how serious this downward trend has become. The data, tabulated by the Sports & Fitness Industry Association and presented by the Wall Street Journal, says the numbers of kids aged six to 17 playing the four most-popular sports - baseball, football, basketball, and soccer - declined from 2008 to 2012. Surprisingly it’s basketball that saw the largest drop off, losing 8.3% of participants over the study while soccer dropped 7.2% of its players, baseball 7.2%, and football down 5.4 %. These numbers become increasingly worrying when placed against the backdrop of a childhood obesity epidemic along with concerns over childhood bullying and the like. But to properly evaluate possible solutions, we must understand why these children are dropping out in the first place. According to data from ESPN’s 2013 Kids In Sport Focus, the most often cited reason (the reasons were presented in a list and participants were able to check off multiple reasons) given by both boys and girls for leaving sport is that “they were not having fun.” Unfortunately, this is largely subjective as the survey can’t determine exactly what is and not fun. Going down the list a clearer picture begins to take shape: 22% of boys and 18% of girls said they didn't get along with their coach, 18% and 16% reported not getting along with their teammates, and 15% of both felt they just weren't good enough. What this data does is paint a picture of a young athlete who just isn't developing or able to participate in a sport to a level they feel they should. These feelings then lead to a belief they are inadequate, that leads to feelings of resentment towards both coach and teammates, which leads to the feelings that the sport is no longer fun which inevitably ends in the youth leaving the sport altogether. The whole scenario is quite heartbreaking and is the exact antithesis of what youth sport should all be about. However, studies suggest several approaches to address this problem. Among the top are focusing once again on the fun aspects of the game, encourage effort and not focus on results, and skill development. This is where adopting technology into youth sports can come in. And the most promising technology application in this regard is online video analysis. The reason for this is that these video analysis applications can directly address skill development which in turn gives a young player confidence which then helps them to have more fun playing the sport. One study that looked at the correlation between video analysis and skill development was done in Italy where a group of female volleyball players were divided into two groups - the first, a control group who received no special treatment and the second, an experimental group that used video analysis of their technique but got no feedback from their coach. The results showed “the importance of video analysis training and visual feedback” and that the “the experimental group improved more and in less sessions.” Putting the improvement into numbers, the experimental group saw a 12% improvement over the control group in terms of blocking and spiking success over the 10 week experiment. Now imagine a coach providing instruction and feedback. With this additional input, video analysis would become an even better tool. 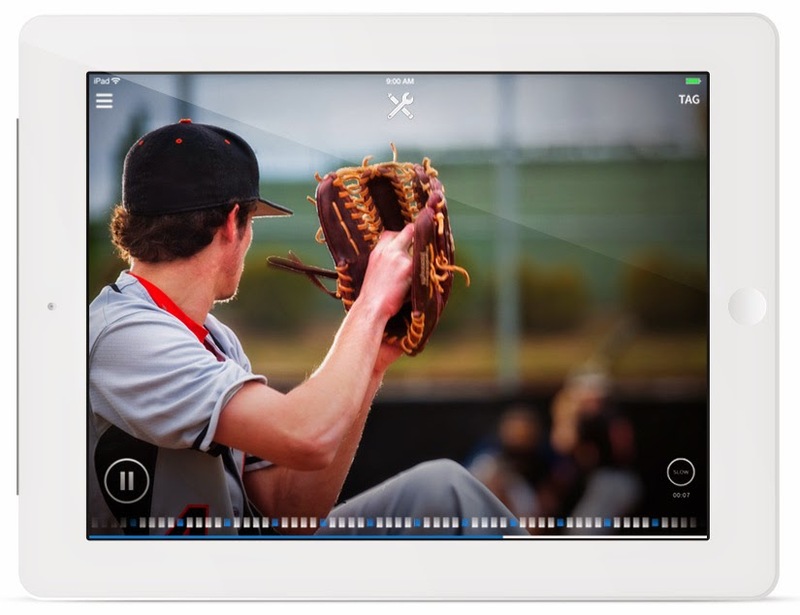 There are several companies offering up video analysis technology to coaches and athletes alike. And while all these companies vary in functionality and such, they all operate around the same premise: that through technology any athlete can receive positive feedback on their skills and technique from any coach from anywhere at anytime. This technology holds very exciting possibilities for sport development. In fact, it’s quite realistic that these technologies can help address the majority of the reasons youth are dropping out of sport. Through use of video analysis technology, any young athlete can get one-on-one coaching for any part of their game they may be struggling with. The opportunities for positive reinforcement abound and focusing on skill development is of utmost importance. With this focus on development, there is the potential for the young athlete to develop and to discover what is fun about sport. It would be wrong to say these technologies are the one and only solution for keeping kids engaged in sports. But they certainly have the potential to become a very important tool. Through these applications, kids can receive the attention and positive reinforcement they need to properly develop their skills. That will give them confidence which in turn leads them to having more fun. And in the end, that is what’s most important. Editor's Note: Individual skill development undoubtedly plays a large role in whether a child perceives sports as "fun." As Brian states above, and as I have echoed in my books and this blog, improved skills lead to more confidence, success, and a desire to further improve. Establishing this "virtuous circle" is key. Besides skill development tools like video analysis or my How to Rock Sports apps for young beginners, there are other ways in which parents can help make sports for their child more fun. Providing opportunities for kids to engage in self-directed pickup play is chief among them. In this setting, "process" is emphasized. Kids play the way they want to. Games can be competitive, or played more for relaxed fun. Kids play different roles (scorer, defender, etc.) depending on the mix of players. Everyone plays. Community is established. And the child continues to play and enjoy sports! Brian Covert is a Community Builder with Up My Game (www.upmygame.com), developers of an app that is committed to helping athletes and coaches connect and communicate.